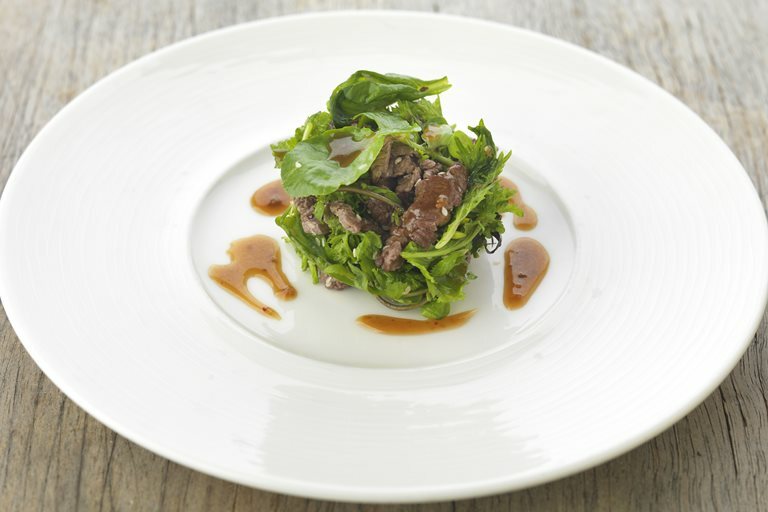 Marcello Tully's simple yet elegant beef with sesame salad recipe is inspired by flavours of East Asia, with a soy, ginger and chilli dressing proving the perfect partner to quickly seared beef trimmings and toasted sesame seeds. The dressing recipe will make more than you need, but can be kept for up to 1 week in the fridge for use in other dishes. The beauty of this salad is that you can make it as refined (or unrefined) as you want - Marcello uses a pastry ring to create an attractive finish in his version.